On 25 May Protected content , Düsseldorf, the traditional stronghold of Japanese business in Europe, is expecting several hundreds of thousands of visitors from near and far. The festival is being prepared with intensive input from Düsseldorf’s Japanese community. The city is home to around 7,000 Japanese nationals. The Japan-Day is not a commercial event but places its focus on presenting Japanese culture and traditions. There are three stages on Japan-Day: the main stage, the pop-culture stage and the sports-stage. Along the river Rhine there are arranged information booths, demonstration booths and sales booths which are rented by the attendants. The German-Japanese bastion of Düsseldorf will be transformed for the 18th time into a place for dialogue with the culture and people of the country for hundreds of thousands of Japan fans. With over 7,000 Japanese inhabitants, the Rhine metropolis is home to one of Europe’s biggest Japanese communities. 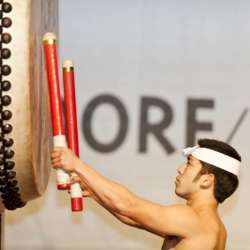 Staged in conjunction with the state of North Rhine-Westphalia and the Japanese community, the Japan Day Düsseldorf/NRW in the state capital offers unique insights into the Land of the Rising Sun. All along the Rhine embankment promenade visitors from both Germany and abroad can look forward to an authentic and diverse range of music, dance, sport, food, numerous information and activity tents, and interesting stage programmes. The highlight of the festival is a spectacular display of Japanese fireworks ca. 23:00 that will light up the sky above the Rhine late in the evening. Please inform us who are coming from Düsseldorf and those joining us from Cologne. This is the second time i will organize This Amazing "Japan Day Event" and we will visit the neighboring city of Düsseldorf. Important instructions will be ready in due time.